You would think that the Snail Bee High Content Essence would have been the product that pushed me into trying the Benton line, given that it’s such an interesting product! While it’s true that I had my eye on the Snail Bee for months, the product that led me to purchase the Benton lineup was actually the Aloe Propolis Soothing Gel ($17). 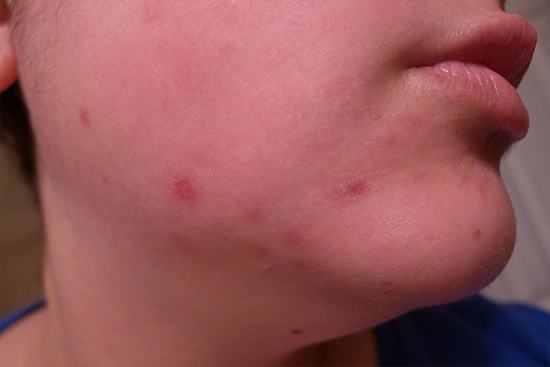 As mentioned in my review earlier this week for the Benton Toner, my working theory (and it really is just a theory at this point) is that the fatty alcohols found in most moisturizers were actually slowing the healing process of my acne rash – and possibly even making it worse. I wanted to find a moisturizing product I could add to my face oil that didn’t contain any Cetereayl Alcohol or Cetyl Alcohol. When I saw the ingredient list for the Aloe Propolis Soothing Gel, I knew this was exactly what I’d been looking for. Benton Aloe Propolis Soothing Gel, in case you’re just now joining the Benton party I’ve been having all week, is just one of three Benton products that I am crediting with clearing up a nasty breakout I’ve been struggling with for months. 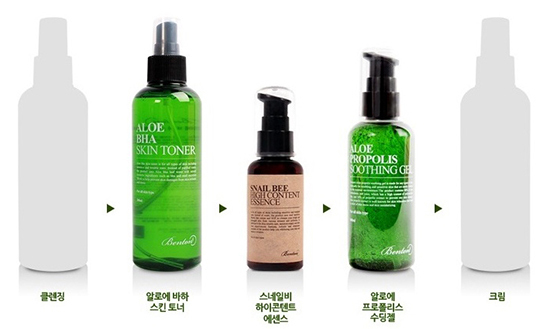 The other two products are the Aloe BHA Skin Toner and the Snail Bee High Content Essence. 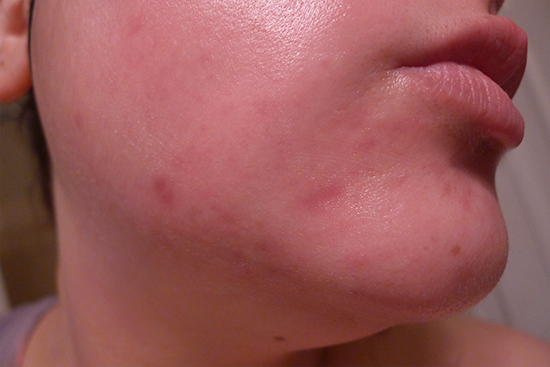 Below is a photo breakdown of my acne healing process during my Benton product usage. 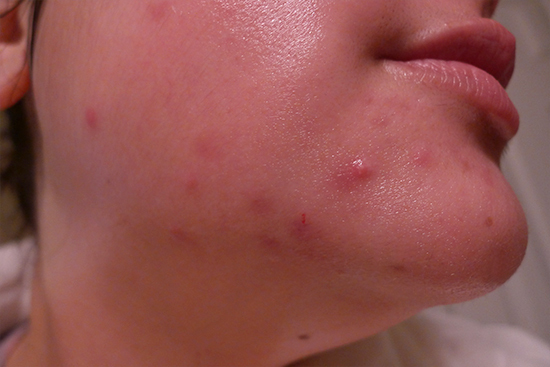 Day 3 – My skin was a little dry that morning because I’d forgotten to put on my oil the night before. Benton Aloe Propolis Soothing Gel is a gel moisturizer that is gentle and suitable for all skin types. 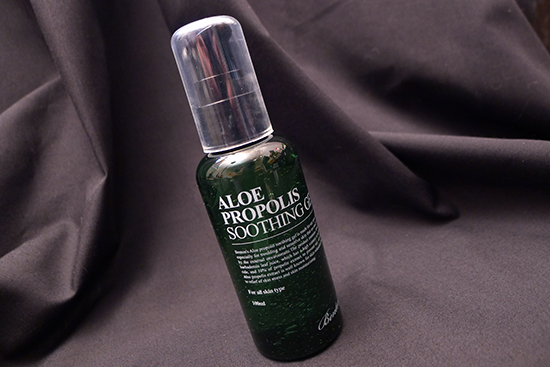 In a standard Asian skincare routine, Aloe Propolis Soothing Gel acts as the emulsion/lotion step. It promises to moisturize, sooth skin, and prevent skin damage caused by external irritants. Aloe Barbadensis – Aloe is a classic skincare ingredient for very good reason. It contains antioxidant properties with Vitamins A, C, and E, fatty acids, anti-inflammatory and antibacterial properties, as well as naturally occurring salicylic acid. 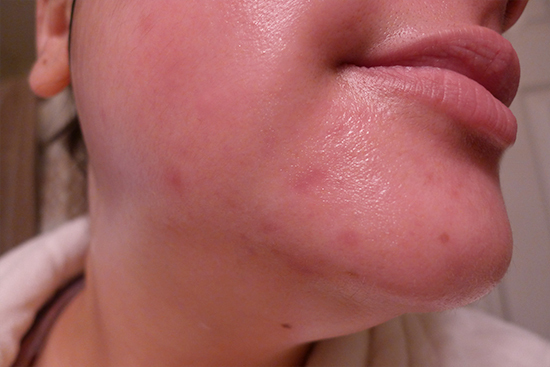 It’s fantastic at treating acne, redness, and dryness, among other things. If you’d like to learn more about this wonderplant, check out this summary from the Indian Journal of Dermatology. Propolis – Propolis is a resinous substance that originally comes from conifers, but it usually collected from bees, who use it to construct their hives. It possesses antibacterial and anti-inflammatory properties, and has been shown to promote wound healing. Chamomilla Recutita (Matricaria) Flower Extract – More commonly known as Chamomile, this ingredient possesses some amazing anti-inflammatory, antibacterial, and anti-fungal properties. Chamomile’s anti-inflammatory superpowers come from flavonoids, which stop the release of histamines – a chemical produced by our bodies that causes swelling, itching, and redness. Chamomile also contains an alcohol called Alpha-Bisabolol, which helps accelerate the healing process of wounds, including acne. Betaine – Humectant and anti-irritant. In fact, some studies have shown it to be less irritating than pure water! Betaine protects against cellular dehydration that can sometimes occur when cells absorb substances though osmosis. According the feedback from COSDNA, there are no potential acne triggers or irritants in this formula. In fact, much like the Aloe BHA Skin Toner, everything in the ingredient list scored a 0 out of 5 in terms of risk, which is highly uncommon! I like to mix 2-4 pumps of the Aloe Propolis Soothing Gel with a couple of drops of either Passionfruit Oil, Baobob Oil or Argan Oil, and apply it as my moisturizing step after the Snail Bee Essence. My skin type is dry, which is why I like to mix it with an oil. Those with oily skin could probably use this as a standalone moisturizer, though a few drops of quality face oil really works nicely with this product – I highly recommend it! 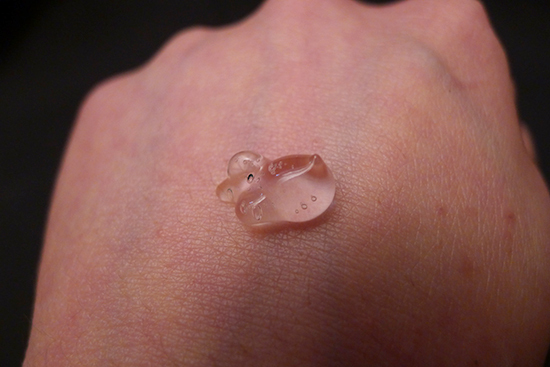 This gel comes packaged in a plastic pump bottle, very similar to the Snail Bee High Content Essence bottle. The pump is very efficient and does a great job allowing control over how much product is being dispensed. It’s not the most glamorously packaged skincare product, but I rather like the serious, refined look of the labeling. There is no scent added to this product, which is great news for those who are sensitive to fragrance! If you put your face in the product and try really hard, you can sort of smell something ambiguously plant like. Benton Aloe Propolis Soothing Gel is a wonderful moisturizing product that sooths and helps with inflammation, including acne inflammation. It’s extremely light and absorbs very quickly. 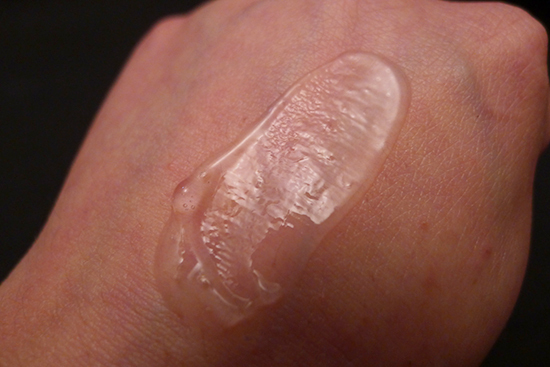 Any residual stickiness disappears quickly, leaving me with soothed, moisturized skin. 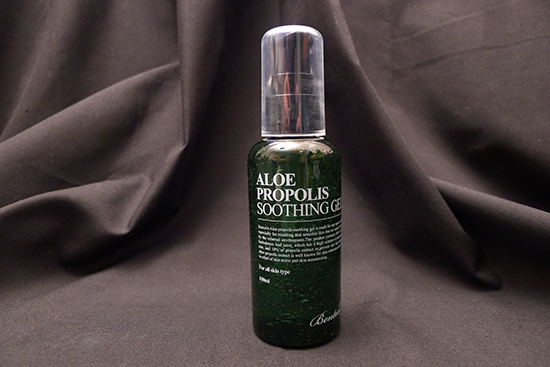 Aloe Propolis Soothing Gel is not quite moisturizing enough to work as a standalone moisturizer for my dry skin, but when combined with a face oil, it provides exactly the amount of moisture I need to last all day or all night. Additionally, I find that this gel actually speeds up the absorption of my face oils. This is especially helpful in the morning, because it cuts down the waiting time between applying my Passionfruit Oil and my makeup down by 20 minutes! Benton Aloe Propolis Soothing Gel has been a face-saver. It has helped immensely with redness and inflammation. Using it in conjunction with the Benton AHA Skin Toner and the Snail Bee High Content Essence has been the key to clearing up my recent acne issues, and I am so glad I tried it! + Improves absorption of face oils such as Passionfruit, Argan, and Baobob oils. Performance: 4/5 – This product is soothing, reduces acne inflammation, moisturizing, and works well with all skin types. It may not be moisturizing enough for dryer skin types, but mixes nicely with face oils. This product is not sold in the US, so you’ll have to order it from South Korea. I purchased mine for $17 with free shipping at I Am Love Shop on eBay and was very happy with my experience. My order arrived at my door in North Carolina in about 10 days. This sound awesome. I also have dry skin so I was worry that this might not be moisturizing enough. Are you aware that they have a new cream out now? Supposed its steam cream with snail extract and niacinamide. Two powerful acne fighting and skin brightening stuff. I’m thinking of ordering the sample to try. This brand is so new but their ingredient sound good and they are affordable. I hope they always stay this way. Hey Annie! I agree 100% – I hope they stay this way as well! I recently purchased a jar of the new cream, but I haven’t opened it yet. I want to wait for my face to heal a little more completely before I start anything new. I’m really looking forward to trying it. When you get your sample I would love to know what you think of it! These Benton reviews are great – every product seems to be better and better! 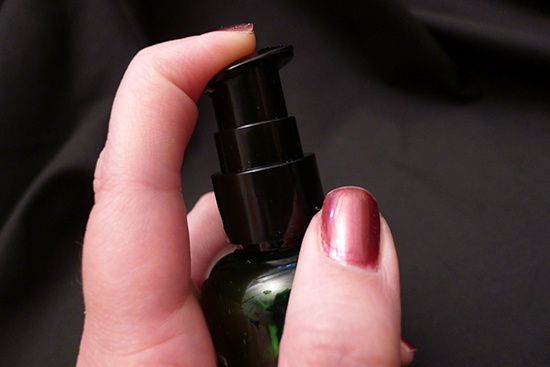 It would never have occurred to me to use the propolis gel with an oil! good idea! definitely will be ordering this some time soon, thank you for the great review~ hopefully this will be light enough not to break me out ! That’s a bummer about the aloe gel. 🙁 The stickiness is due to the fact that aloe is a humectant, which means it pulls water into the upper layers of the skin. It doesn’t have any emollient or occlusive properties on its own to help “seal it in.” Glycerin and hyaluronic acid are also humectants, for reference. Have you ever done a sheet mask and then not applied anything afterward? The glycerin in sheet masks have that same sticky sensation. If you happen to feel like giving the aloe gel another try (not that you have to! 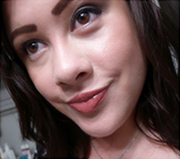 ), but without the stickiness, try adding a light layer of your favorite cream over it! When you apply a cream after the aloe gel, it will get rid of the sticky feeling. It might sound like a weird thing to do for oily skin, but moisturizing creams – even most of the lighter ones – have occlusive ingredients in them to help seal in moisture, increase absorption, and counteract stickiness. Really, though, as much as I love the aloe gel myself, I think the toner and the essence are the true workhorses of the Benton line! I’m glad your acne has improved! I just got my aloe propolis gel in the mail and i thought the ingredient list looked longer…sure enough mine has cucumber extract, lemon fruit extract, and camelia sinesis extract added in there. Do you know why they changed the formula? Have you guys tried the Nature Republic aloe gel? Do you think it would be a cheaper alternative to this? Hi! My samples of this gel have just arrived and I’m already amazed. 🙂 I cleansed my face and the rubbing and the warm water made my rosacea flare up. Both my cheeks were flaming red. Now it usually takes hours for my skin to calm down. This evening, I applied the gel to my flaming skin, and lo and behold: five minutes later my cheeks are their usual pale and glowy selves. Love this stuff! That’s great news, Izar! I love the Benton Aloe line. I’ve heard they’ll be adding new products to the aloe lineup soon, and I’m really looking forward to it! Hi Kelly! I just wanted to ask, is it okay to use this product alone as a moisturizer without the other two? I’m thinking of changing my mousturizer to this. Oh and also, does essence makes our skin breakout easily? I’m currently using sk2 pitera essence, at first it works really well, but after 3 months of using this, alot of small pimples comes out. Memebox.com has this product (and a LOT of other skincare/makeup items); it ships from the US (California I think), and they offer free shipping for orders over $30.